Murder by Gaslight: The Baldwinsville Homicide. The discovery of a body in the Seneca River, decomposed beyond recognition, left the town of Baldwinsville with a nearly unsolvable mystery. But the clues unraveled to revealed a dastardly plot against an honest man by a craven murderer and his hapless cohort. 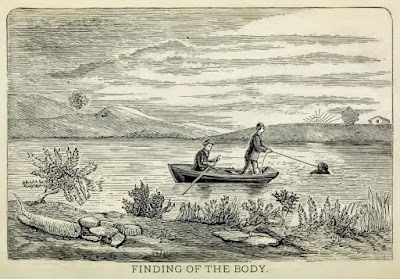 Two men fishing in the Seneca River, near Baldwinsville, NY, in June 1874, came across what appeared to be a bundle of clothes floating in the water. Closer inspection revealed that it was the body of a man, weighted so firmly that they could not drag it ashore without assistance. 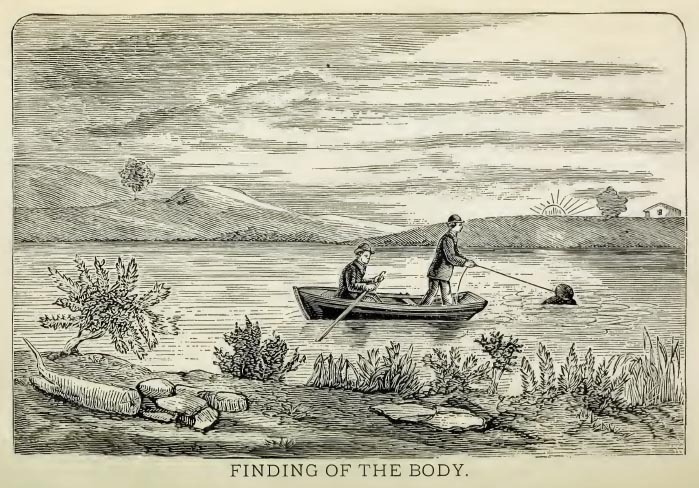 The feet had been tied to a sixty-eight-pound rock; examination revealed that a second rock, tied to the neck had slipped away allowing the body to float into sight. The right side of his skull had been smashed, and the Baldwinsville medical examiner determined that the man had been murdered, but after several months in the river, his features were unrecognizable. The discovery caused much excitement in the quiet farming village of Baldwinsville. No one in the area had been reported missing and with the body so badly decomposed, it seemed unlikely ever to be identified. Gradually, though, the contents of his pockets—a tin spoon, a package of sewing needles, and a piece of calico cloth—provided enough clues to determine that the dead man was Francis A. Colvin, who had boarded for a time with John Pickard and his wife. The spoon was from a set of nine he had purchased, six of which he gave to Mrs. Pickard and one he carried in his pocket to take medicine for his lungs. He had used the needles to attempt to sew an extra pocket into his coat. Mrs. Pickard completed the pocket for him and also added lapels to the coat. She gave him the calico cloth, part of which he wrapped around his toes to prevent chafing. An examination of his coat revealed the pocket and the lapels, and the piece of cloth was still wrapped around his toes. A dentist who had extracted teeth from Francis Colvin was able to confirm the identification. Francis Colvin had no family in the area and no friends except the Pickards. After returning from the Civil War, he had lived almost as a hermit in a shack in the woods until the Pickards offered him room and board at their house. Around December 1873 he left their house to go to work on the farm of Daniel Linsday and had expressed his plans to move to Syracuse for a higher paying job, so no one was suspicious when he was no longer seen around Baldwinsville. Colvin had been a hardworking and frugal man and had amassed a nest egg of about $3,000 in cash and notes, which he was known to carry on his person. It was now missing. 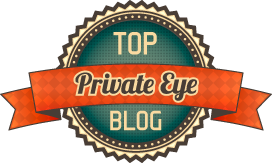 He had held a mortgage of about $350 on property owned by John Pickard which had been transferred to a man named Payne Bigelow. When questioned, Bigelow said he had purchased the mortgage from Bishop Vader, a farm hand who also worked for Daniel Linsday. Vader was arrested in connection with the murder of Francis Colvin. Vader professed innocence and said that a man named Duane Peck was responsible for the murder. Outside of jail, Daniel Linsday’s son Owen was also spreading the rumor that Duane Peck had murdered Francis Colvin. The police arrested Peck but soon determined that he had no connection to Colvin’s death and let him go. Bishop Vader was a somewhat simple-minded man. “Not an idiot;” the District Attorney would later say, “but a man that has not the moral courage to stand up and say no, when one that had great influence over him shall tell him what to do.” After prolonged questioning, Vader revealed that the man who had been telling him what to do was Owen Linsday. When Vader and Colvin were both working on his father’s farm, Owen told Vader to find out how much money Colvin was carrying. Suspecting nothing, Colvin told him. Owen Linsday then formulated a simple plan to take it. He told Vader to lead Colvin into the barn the morning of December 19, 1873. As Colvin sat milking a cow, Linsday came up behind him and hit him in the head twice with the flat end of an axe. Lindsay went through Colvin’s pockets and removed a pocketbook containing cash and notes. He gave $500 to Vader and kept $1,500 for himself. They hid the body then Linsday told Vader to hire a boat. If Linsday’s father asked where Colvin was, Vader was to tell him he left for the city. He gave Vader two mortgages from the pocketbook and told him to go to Syracuse, pretend to be Colvin, and sell them. Vader decided it was easier to sell them in Baldwinsville, so sold one to Payne Bigelow. When the sun went down, they put the body in a sleigh and took it to the boat Vader had rented. They put the body in the boat and Linsday tied the rocks to it. When they reached the deepest part of the river they threw the body overboard. After Vader had told his story, the police examined the sleigh and found bloodstains in the floorboards. They arrested Owen Linsday and charged both men with the murder of Francis Colvin. 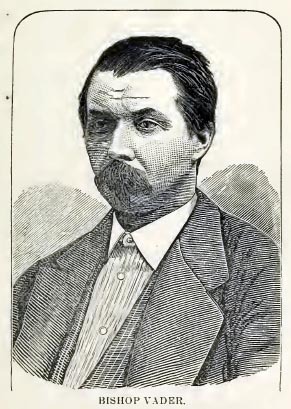 Though Bishop Vader and Owen Linsday were both charged with first-degree murder, Linsday was considered the primary defendant. They would be tried separately with Linsday’s case taken first. 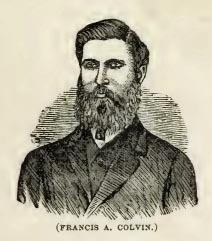 The prosecution spent the first part of the trial introducing testimony to prove that the body found in the river was that of Francis Colvin. When this was done, the principal witness against Linsday would be Bishop Vader. Linsday’s attorney objected to Vader testifying as he was charged with the same crime. The judge heard arguments on both sides of this question, then ruled that Vader could not testify against his co-defendant. The prosecution then changed the charge against Bishop Vader to nolle prosequi, effectively dropping the charges against him while leaving them free to charge him again later. Vader’s testimony and cross-examination took more than a day and was quite damaging to Linsday. Under oath, he told the same story that he had told the police. It also came out that Vader was left handed and the blow to the back of Colvin’s head had been delivered by someone who was right handed. The state then introduced two college professors who had microscopically examined the blood found in the sleigh. Linsday had contended that the stains had come from slaughtered pigs which had been carried in the sleigh. In new and controversial testimony, both professors concluded, from the size of the corpuscles, that the blood was from a human, not a pig. The defense challenged the date of the murder, introducing witnesses who claimed to have played parlor croquet with him on December 19, had seen him at a birthday party, and had seen him slaughtering pigs four days after he was allegedly murdered. They contended that Bishop Vader alone was guilty of the murder and had falsely implicated Lindsay. The trial lasted ten days. After seven hours of deliberation, the jury returned a verdict of guilty. Owen Linsday was sentenced to be hanged on March 26, 1975, but the verdict was appealed, postponing the execution for nearly a year. His attorneys challenged the validity of Bishop Vader, an accomplice in the murder, as a witness. The New York Supreme Court confirmed that the criminal courts have discretionary power in this respect and let the verdict stand. On February 11, 1876, Owen Lindsay was hanged in the courtyard of the Onondaga County Penitentiary. He was urged to confess his crime, but he maintained his innocence to the end. 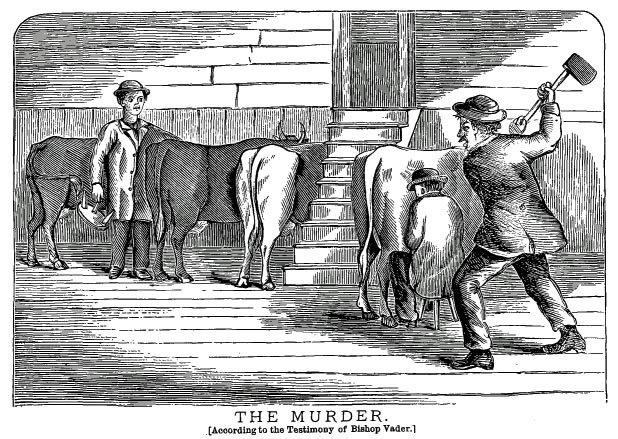 The Baldwinsville Homicide (Syracuse: Tinsley & Morgan, 1875). “Blood-Stains in Capital Trials,” Boston Daily Advertiser, February 18, 1875. 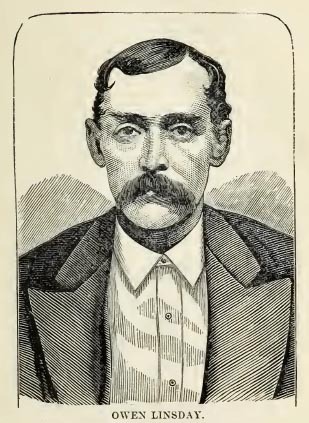 “Competency of an Accomplice in a Murder as a Witness,” Evening Post, November 10, 1875. 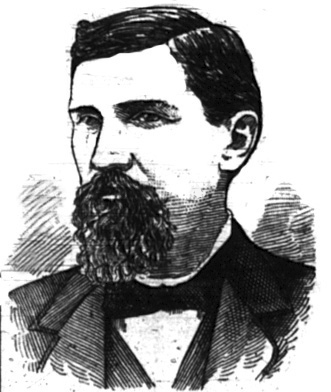 “The Fatal Noose,” Democrat and Chronicle, February 12, 1876. “A Mystery Solved,” Watertown Daily Times, July 9, 1874. “A Mystery Solved--Confession of a Cold-blooded Murderer,” Albany Evening Journal, July 2, 1874. “Onondaga,” Watertown Daily Times, February 8, 1875.